Coral reef stakeholders and managers may wish to consider restoration to assist in the recovery of damaged or degraded coral reef sites or reef-associated habitats. Ecological restoration is defined by the Society of Ecological Restoration as “the process of assisting the recovery of an ecosystem that has been degraded, damaged, or destroyed.” ref Thus, restoration projects aim to recover properties of an intact, undegraded, or “reference” site by restoring species assemblages, food webs, and healthy ecological functioning. Ecological restoration can include both passive and active strategies. Passive restoration strategies include management actions that protect the habitat and allow for natural recovery and improved ecological functioning. These strategies can include marine protected areas that promote increased herbivory or mitigating land-based run-off and pollution. 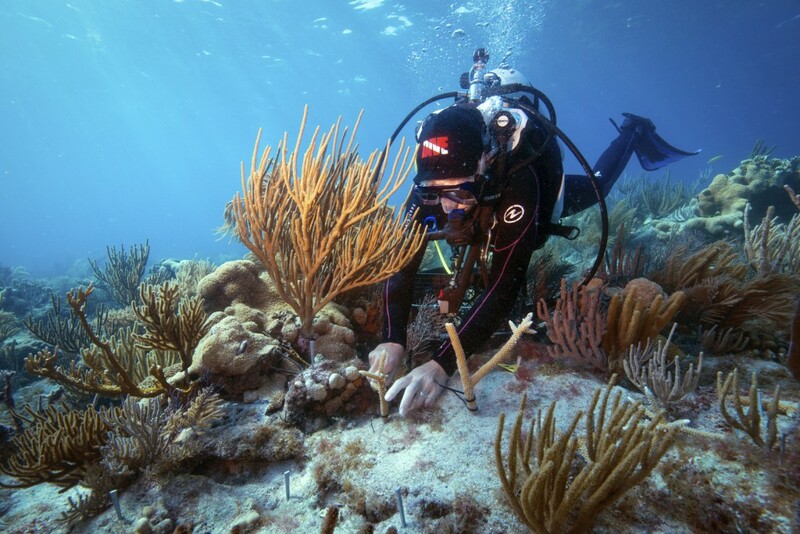 Active restoration strategies include direct interventions that aim to speed up recovery, and can include strategies such as coral gardening and transplantation or manually removing macro-algae. This module will mainly focus on active restoration techniques and interventions. Restoration should always be viewed as a secondary approach to preserving original coral reef habitats through effective management actions. Coral restoration is likely to be ineffective if done as a stand-alone management strategy and should therefore be used within a broader integrated management plan that reduces chronic stressors prior to coral transplantation. Managers and practitioners should also consider climate change in their decisions regarding coral restoration, as future scenarios are likely to effect long-term success and program sustainability.